Summer is just around the corner and for many young people the biggest problem is : how to earn money, gather some experience abroad, and learn or improve another language at the same time. Working as an au-pair is the most economical way to live abroad: accommodation and often food will be included in your monthly allowance,you can work as an au-pair both on a long or short term basis and it’s the perfect job to take up for the summer or even for your gap year, especially if you’d like to improve a language. The following dialogue was inspired by a conversation with a friend looking for an au-pair girl for her two daughters. 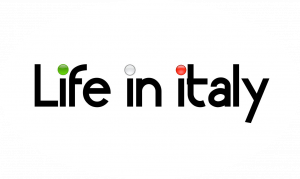 Italy is definitely a beautiful place to spend some time working and nothing compares to a wonderful journey into the beauty of Italian language and culture. 1) Sii cauto nella scelta della ragazza e parla con la famiglia precedente = Be cautious on your choice and speak with the previous host family. 2) E’ importante avere un conversazione onesta con la ragazza prima dell’assunzione, soprattutto per capire se ha le capacità e le qualità di cui la tua famiglia ha bisogno. Questo ti farà risparmiare il tempo, i soldi e lo stress di dover cercare un’altra ragazza alla pari dopo poche settimane: potrebbe volerci molto e dovresti ricominciare tutto daccapo, dalla ricerca, al colloquio e al training. = It’s quite important to have an in-depth conversation with the au-pair girl and above all to ascertain if she does have the skills and the qualities you need for your family; this can save you the time, the money and the stress of looking for another au-pair after a short time. It would probably take quite a while, and you’d have to start all over again: from the search and the interview to the training. 3) La maggior parte delle agenzie che collocano queste ragazze, consigliano di considerare un periodo di adattamento di circa 60 giorni, perchè la giovane possa capire i ritmi della famiglia, e possa instaurare un rapporto con i bambini. Tale periodo è anche essenziale per adattarsi alla nuova lingua e al fatto di vivere all’estero = Most of the agencies placing these girls advice to allow an adjustment period of approximately 60 days, so that your au pair may understand the rhythms of the family and build up a relationship with the children. 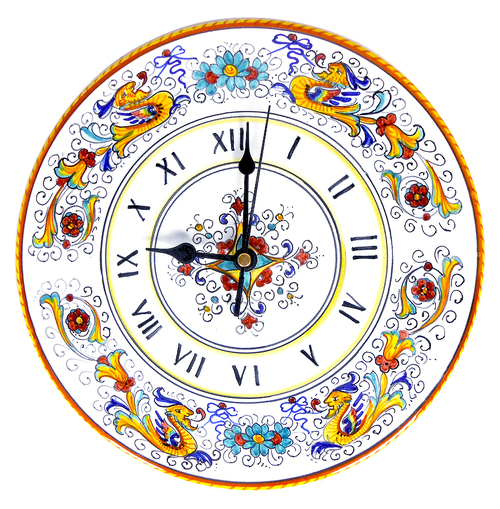 Such time is also essential to get to know the new language and to adjust to living abroad. 4) Essere una ragazza alla pari non include un contratto di lavoro, poiché farete parte di un nuovo nucleo famigliare e sarete considerate parte integrante della famiglia: così come la au pair dovrà rispettare gli orari prestabiliti, così la famiglia dovrà rispettare le giornate libere della dipendente= To be an au-pair doesn’t involve a work contract, as you’ll become effectively a member of the family and you will be considered part of it; just as the au pair must respect her schedule, so the family must respect her days off. 5) La ragazza alla pari non dovrebbe avere evidenti piercing sul viso e non dovrebbe fumare, perchè di solito alle famiglie non piacciono i fumatori = The au- pair should not have obvious facial piercings and should not smoke, as usually families do not like smokers. Girl: Buongiorno, sto chiamando riguardo l’annuncio sul giornale: state cercando una ragazza alla pari, non è vero? = Good morning, I’m calling about the advertisement in the newspaper: you are looking for an au-pair girl, aren’t you? Woman: Certamente, quanti anni hai? Yes we are. How old are you? Girl: Ho 19 anni, ho appena finito la scuola e siccome mi piacciono i bambini ed allo stesso tempo vorrei migliorare il mio italiano, sono interessata a questo lavoro = I’m 19 years old, I have just finished high school and since I like children and would like to improve my Italian, I’m interested in this job. Woman: Hai mai lavorato con i bambini? = Have you ever worked with children? Girl: Si, l’anno scorso ho lavorato in una famiglia con tre bambini = Yes, last year I worked in a family with three children. Woman: Hai la patente di guida? Perchè bisogna portare una delle bambine a danza classica e l’altra in piscina due volte alla settimana = Do you have a driving license? Because you’ll need to take one of the girls to ballet class and the other to the pool twice a week. Il tuo compenso settimanale è di E. 250. Ti va bene così? = You’ll work 4 days a week ; in addition you would be available one evening a week to do baby-sitting. You have to deal with children, wake up in the morning at 7.00 o’clock and help them to have breakfast and get ready for school. After having taken them to school, you can clean the house:you’ have to vacuum your room, those of the children, and our bathroom, and also iron their clothes. After lunch you are free for a while, then you’ll pick them up from school, play with them for a while, prepare their dinner and clean the kitchen after eating. We come home at 18.00 and your day is finished. Your weekly compensation is E.250. Vorrei infine suggerirvi di divertirvi e godervi al massimo questa esperienza, perchè è davvero unica! = In the end I would like to suggest to have fun and enjoy at most this experience, because it’s really unique!